Explore Boston and Cambridge on this guided, full-day motorcoach tour around Beantown. Highlights of this day-long tour include visits to Harvard, one of the world's most prestigious universities; and MIT, the Massachusetts Institute of Technology. Also, see the Massachusetts State House, the state capitol and seat of government for Massachusetts; Trinity Church, founded in 1733; and much more. Stop for lunch at the famed Faneuil Hall Marketplace. Round-trip transportation included. 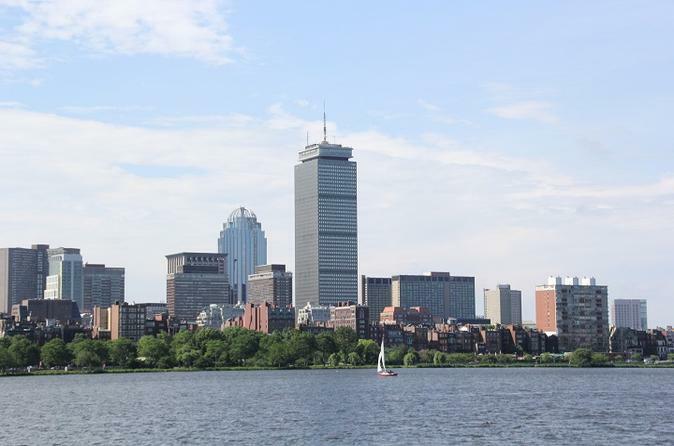 This full-day tour starts in Quincy or Boston and heads out to Cambridge, home to two of world-renowned universities — Harvard University and the Massachusetts Institute of Technology (MIT). At Harvard, visit Memorial Church, Memorial Hall, and Harvard Yard (where the Status of Lies is located) to embrace the history and atmosphere of the nation’s oldest institution of higher education. After a short bus ride, arrive at the MIT campus, where modern architecture combines with old-world builds, and a passion for technological advancement nurtures. The tour continues in the heart of the Boston at Trinity Church and the Massachusetts State House, which sits atop a hill looking out over Boston Common Park. After a short walk in Boston Common, the tour will proceed through the Freedom Trail, passing by historical sites resembling Colonial Revolutionary Boston, like the Old City House and Old State House. Stop at Faneuil Hall, which has been a marketplace and meeting site since 1742. Enjoy lunch (own expense) for approximately 1.5 hours. After lunch, the tour will arrive at Long Wharf with the option to take a 45-minute USS Constitution cruise at an additional cost and sail out to the harbor. Cruise around the Port of Boston, which is historically one of the America’s principal seaports. After the cruise, the tour will return to the pickup location at approximately 4pm.